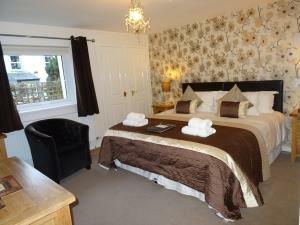 Large ground floor room, has been recently decorated and fitted with oak furniture. Extensive hospitality tray, organic toiletries, luxury bed linen, towels, large screen TV and free Wi-Fi are included. Available for single night telephone bookings. Can be converted to twin - 2 night minimum.